Since being first developed by Eugene Freyssinet early last century and developed by Freyssinet in France in the 1950’s, post-tensioning has remained one of the core activities of the organisation. 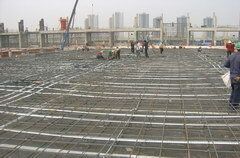 Post-tensioned floor systems in building structures such as car parks, offices, residential buildings and shopping centres have always been a key aspect of the Company’s activities. 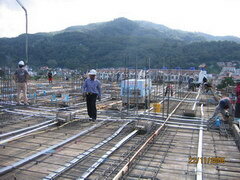 The locally developed slab system undergoes constant development and testing to ensure we readily adapt and lead the way in a market that is constantly changing as a result of both demand for different types of building structures and changing construction techniques. A prime example is the recent development of a smaller slab anchorage system specifically designed for the unique requirements of medium and high rise apartment buildings. We maintain a considerable in-house design facility in this area to provide assistance to our clients and of course, carry out full design documentation of projects varying in size from small residential buildings up to multi-million dollar developments. Our expertise and experience is well recognised and is now exported to countries throughout the World.